Roaster's Notes: This is Guatemalan coffee yields a bright, clean cup of coffee with nutty berry qualities. This gourmet coffee was shade grown high (4500+ ft) in the mountains of Guatemala. This is a Strictly Hard Bean (SHB) Arabica, Fair Trade, organic coffee. We roast this coffee to a light/medium roast to accentuate the flavors yet retain the acidity. It is a beautiful, complex coffee with good acidity. At this light roast level it shows bright citrus notes and finishes clean with nutty berry nuances. This is a truly gourmet coffee! When our favorite, go-to coffee (Ethiopian) was out of stock last month, we decided to try a few others. This one was a raving success. Flavor is delicate enough to not require cream, but still full-flavored and delightful, and richly chocolatey. Love it! I love this coffee. Guests always comment on it, as well. The only problem with it is that I don't want to try anything else in case its not as good! It is a medium roast and oh so smooth. 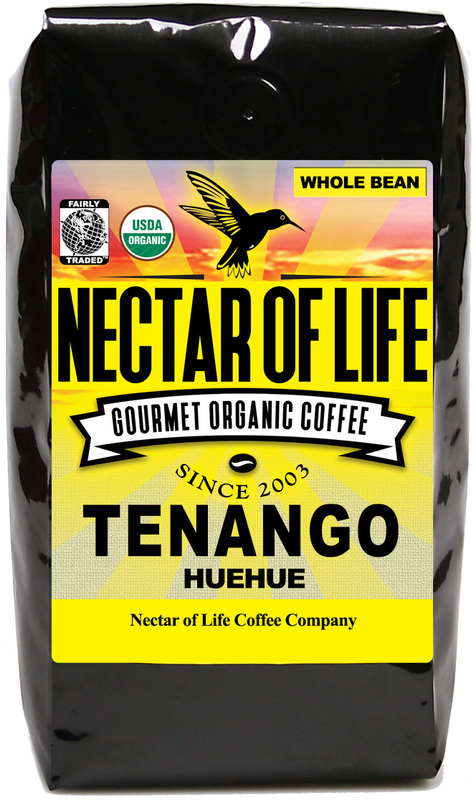 Q: When will Huehuetenango be back in stock? Can it be ordered with coupon code even though it is out of stock? A: We don't have an ETA for restocking the Huehuetenango, so we aren't allowing backorders at this time. We will send out email to our email subscribers once it is back in stock.